VBCCM hires very qualified teachers and clinical supervisors who have both TCM high education as well as medical working experiences for our programs. Dr.TCM Wenpai Li has over 30 years teaching and over 35 years of medical working experiences. To better suit the needs of the students, VBCCM also offers evening classes to the students who work during the day to pursue TCM studies. VBCCM welcomes all students with medical background or without. They are some students presently studying in our College or who have graduated have proved to be very successful. 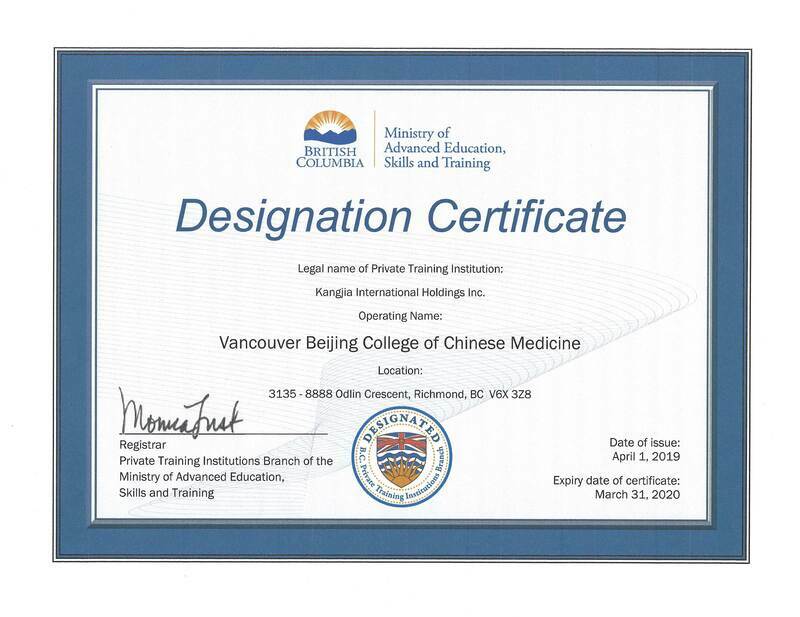 Many of our graduates have succeeded in passing the TCM exams offered by College of Traditional Chinese Medicine Association (CTCMA). They have received their acupuncture certificates and are qualified to open their own clinics to practise TCM, serving the patients.